Who doesn’t want to conserve space and stay hydrated? 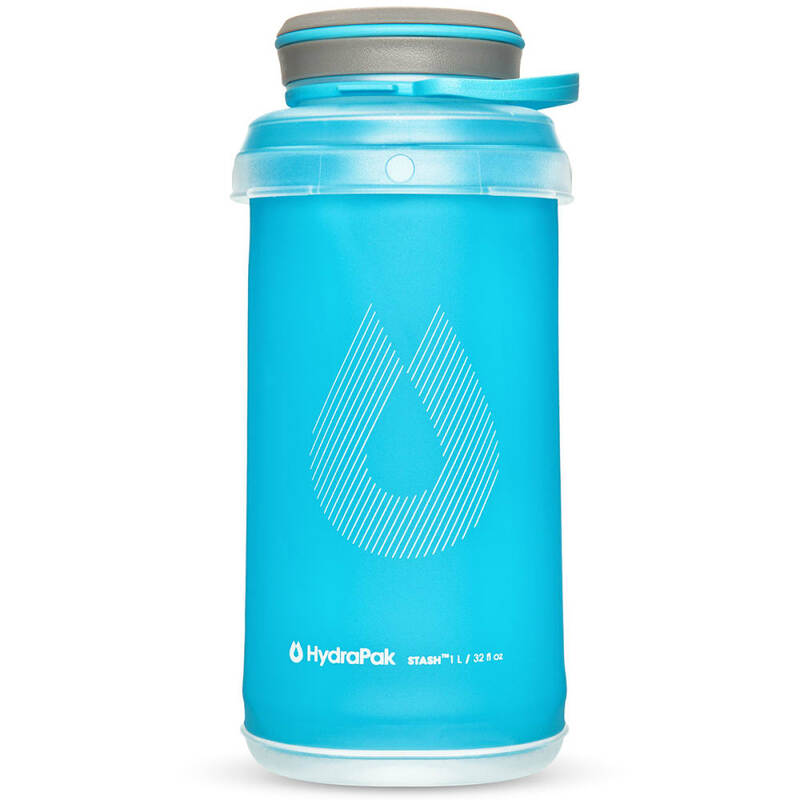 Hydrapak’s 1L bottle gives you an innovative concept that collapses down to just over 2 in. 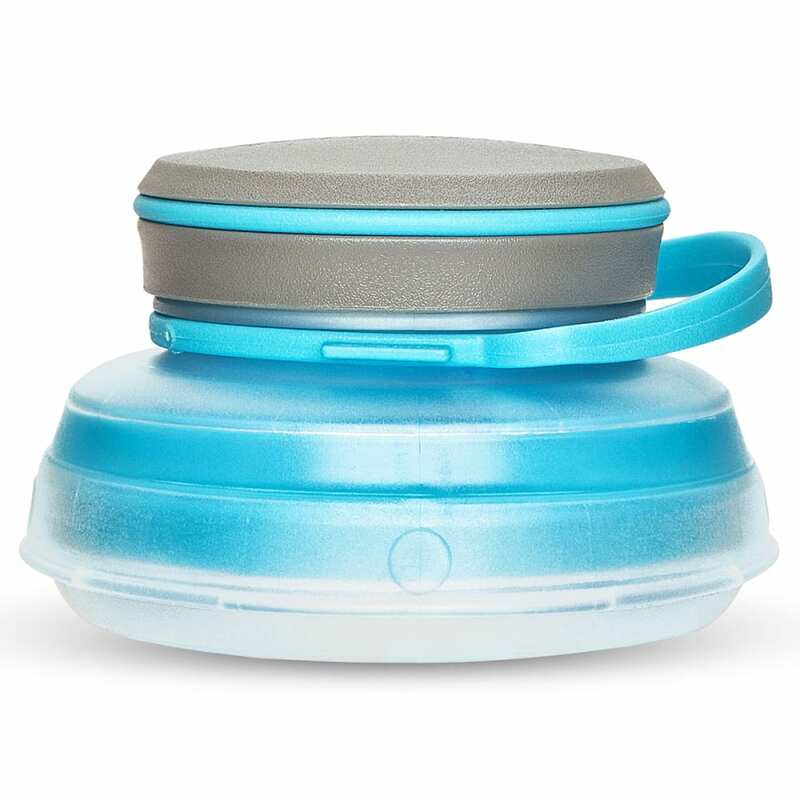 in height, and for easy transport, the molded top and bottom snap together. 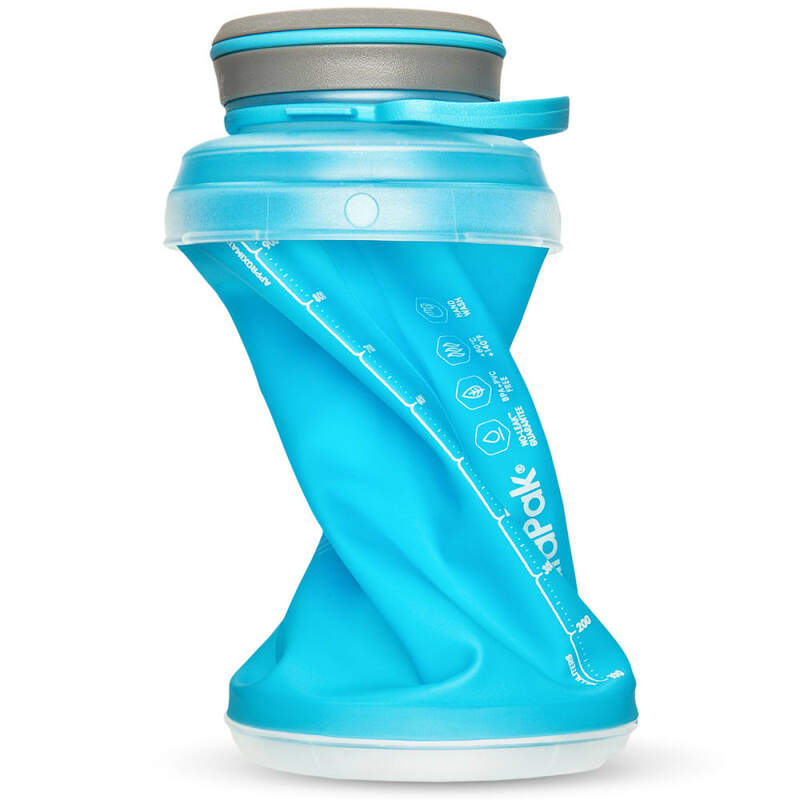 Just squeeze to release whenever you’re ready to drink, and from there, just fill its wide-mouth design before you start your journey. Volume (fluid ounces): 33.8 oz.